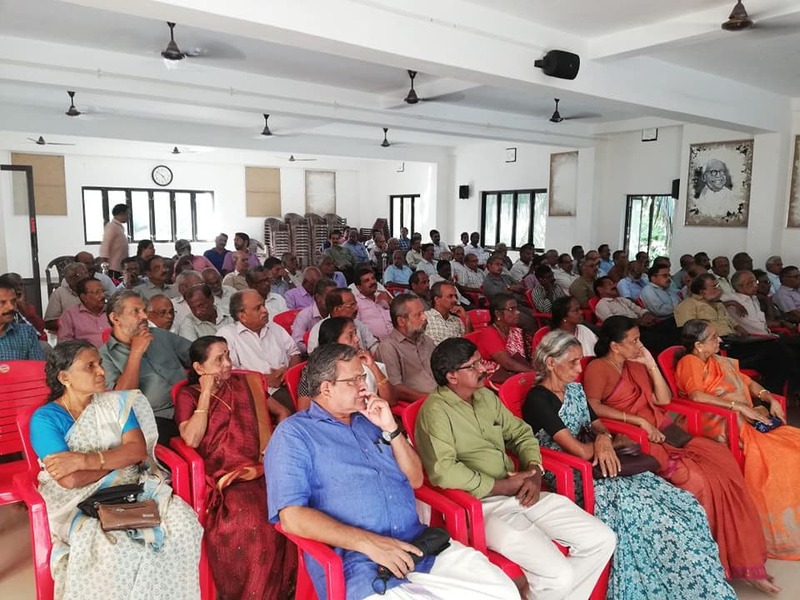 Kozhikode District Branch of AIBDPA, BSNLEU and BSNLCCWF oraganized a well participated meeting in connection with the 2nd death anniversary of Com.M.P.Kunhanandan, former CHQ Treasurer on 18-06-2018 at Saroj Bhawan, Kozhikode. The house paid homage to the memory of Com. MPK. Com. V,A.N.Namboodiri, Advisor AIBDPA delivered the commemorative address. Com. 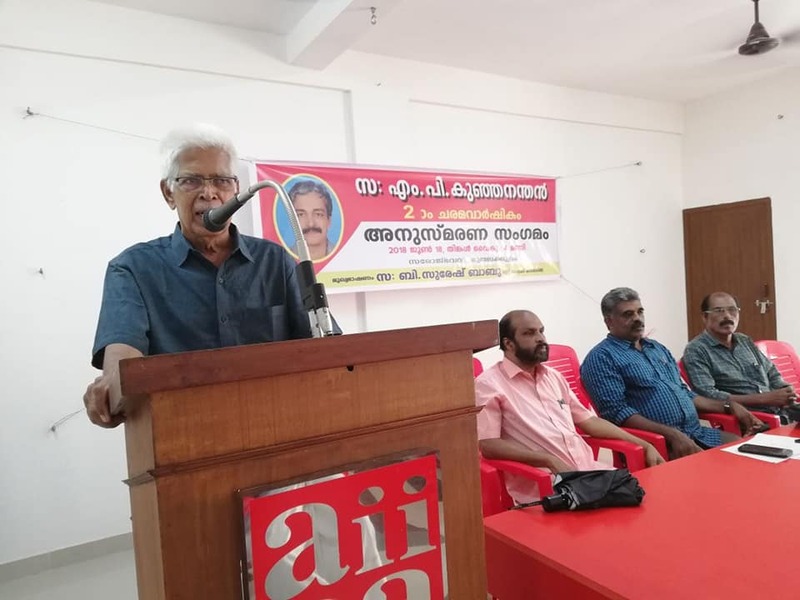 B.Suresh Babu (State Library Council) spoke on the subject , ” Left alternative against globalisation “. Com.M.Vijayakumar, National Organising Secretary, BSNLEU controlled the proceedings. Com.P.V.Chandrasekharan, District Secretary AIBDPA welcomed the participants and Com. P.P.Asokan, Secretary BSNLCCWF proposed vote of thinks. Com.P.K.Vineetha,wife of Com. Kunhanandan and family members were present.